Welcome to my site, Lynn Johnston! We’re super-excited to learn all about you and your non-fiction book, The 30 Day Novel Success Journal for Romance: Overcome Procrastination, Figure Out What Happens Next and Get Your Novel Written. Let’s share your good news with the world. 1. Who the hell are you and what do you write? 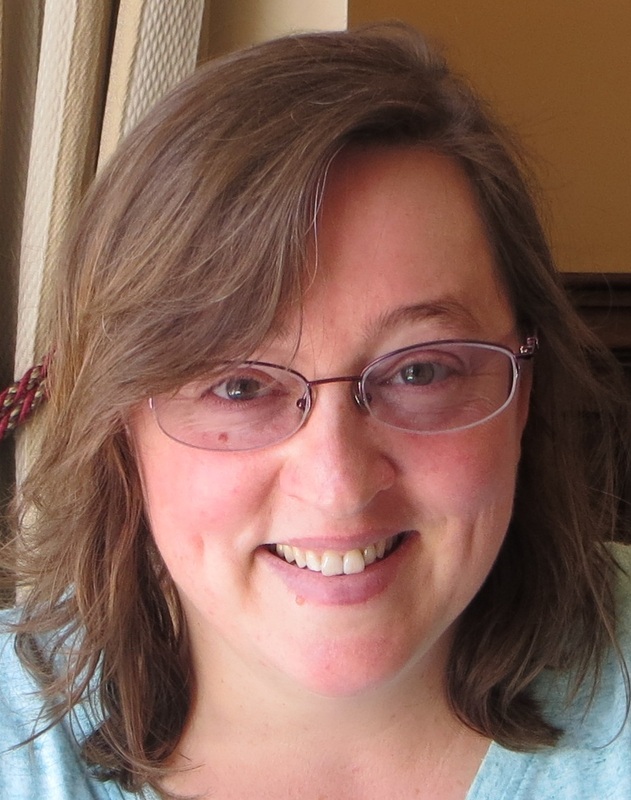 I’m Lynn Johnston, and I write speculative fiction. I also mentor writers who’re looking for help with increasing the emotional impact of their stories. Sometimes that means working one-on-one, other times that means writing books about the craft and blogging at writesmarternotharder.com. 2. Tell us what you love about your book. I had a tremendous amount of fun working on The 30 Day Novel Success Journal for Romance. It contains a story blueprint that combines the Hero’s Journey, three-act structure, and a romance arc with growth for both the hero and heroine. I came up with the approach of daily brainstorming prompts because even though I’m a plotter, most of my students are pantsers who struggled with writing from an outline. The great thing about the prompts is that they lead you through the process of plotting your story one small step at a time, as you write, and they help you come up with story events that hang together structurally. The blueprint is broken up into thirty steps, so you can use it for a 30-day writing marathon like NaNoWriMo or Book in a Month, if you like. But if you’d rather write at a more sustainable pace, you can still use the brainstorming prompts to generate a story with solid structure, no pre-plotting required. Plot your story as you write—no outline required—strong storytelling structure built into the daily exercises. 4. How do you envision your book helping the Universe? If you’re a plotter like me, who creates elaborate outlines and then falls out of love with them a third of the way into the story, the brainstorming prompts in this book can save you the time of obsessing over outlines. If you’re a pantser like many of my students, who find that they have to do a massive rewrite of the first draft to fix plot holes and rabbit trails, the brainstorming prompts in this book can drastically reduce the amount of work you’ll do after the first draft is complete. Plotting a little at a time with the prompts as a guide gives you the security of an outline and the freedom to be creative with each day’s writing session. 5. For whom, specifically, did you write your book? For anyone who’s ever started a novel with enthusiasm and then gotten bogged down at the seemingly-overwhelming task of plotting out a good story. 6. What incident inspired you to write this awesome book? The 30 Day Novel Success Journal workbooks started as a result of my personal experimentation with Ray Bradbury’s “dreamstorming” technique. Bradbury recommends choosing a question about the next day’s writing and repeating it to yourself each night as you fall asleep, to encourage yourself to dream about your story. I found that even on nights when I didn’t dream about my story, I still had more productive writing sessions than usual. It occurred to me that if meditating on one question helped me come up with the next step in my plot, I could create a series of questions based on story structure that would ensure that my story middle didn’t sag and that my characters had strong growth arcs. The romance workbook is different from my first workbook in that it has a completely different story blueprint, which focuses on a couple falling in love in the course of trying to achieve their goals. My first workbook features a story blueprint that focuses on a single protagonist on a quest. 7. Do you prefer to read fiction or non-fiction? YES. I can’t go a day without reading at least a chapter of a novel: mostly science fiction and fantasy, but I occasionally read paranormal romance and a mystery or two. I also love reading about history, archaeology, and psychology. I’m also a writing book junkie. What’s your favorite genre to read? Any recommendations for the crowd? Scifi favorites: the Liaden Universe series by Sharon Lee and Steve Miller; Rimrunners and the Foreigner series by C.J. Cherryh. I recently enjoyed the first Honor Harrington book and am looking forward to reading more in that series. I also loved the first book in Ann Aguirre’s space opera series—Grimspace. Fantasy favorites: the Dresden Files by Jim Butcher; just about anything by Lilith Saintcrow. The Morgaine Cycle by C.J. Cherryh is the best, even though it’s actually scifi-disguised-as-fantasy. I will always love Mercedes Lackey’s Children of the Night, which was my first taste of urban fantasy. 9. Quick – Name the last movie you saw, and did you love it? If so, WHY? If not, WHY NOT? I loved Guardians of the Galaxy for bringing the best elements of space opera to the big screen—action, adventure, humor and larger-than-life characters. My first introduction to scifi was via Flash Gordon, followed by Star Trek, so I have a soft spot in my heart for those kinds of big adventure stories. Also, Dawn of Planet of the Apes was so incredibly well-done. Andy Serkis was brilliant as Caesar. 10. Favorite music to write by? I listen to brainwave entrainment programs. I bought two from Brain Sync that I use regularly: one for enhancing creativity and one for enhancing focus. I often start with the Focus program, as that helps me settle down to write. Then I listen to the Creativity program once or twice through while I write. I find that the words come more easily to me after I’ve listened to the Creativity program. I also listen to nature soundtracks, like rainstorms and waves crashing on the beach. I find it very relaxing without distracting me from what I’m doing, as music with lyrics often does. 11. Any advice for new writers? One of the mistakes I see new writers making over and over again is avoiding structure and technique for fear that it will somehow stifle their genius or make them less creative. Structure and technique are HOW you express your creative genius in a way that a reader can relate to what you’re saying. A big part of making a story good is discovering which structure or which techniques are going to bring your story to life. 12. Describe your next project in #140 characters or less: What’s the story line? Having a great idea for a story isn’t enough to get your novel across the finish line. You also need to know how to overcome the two biggest reasons that novelists fail: plotting problems and procrastination. 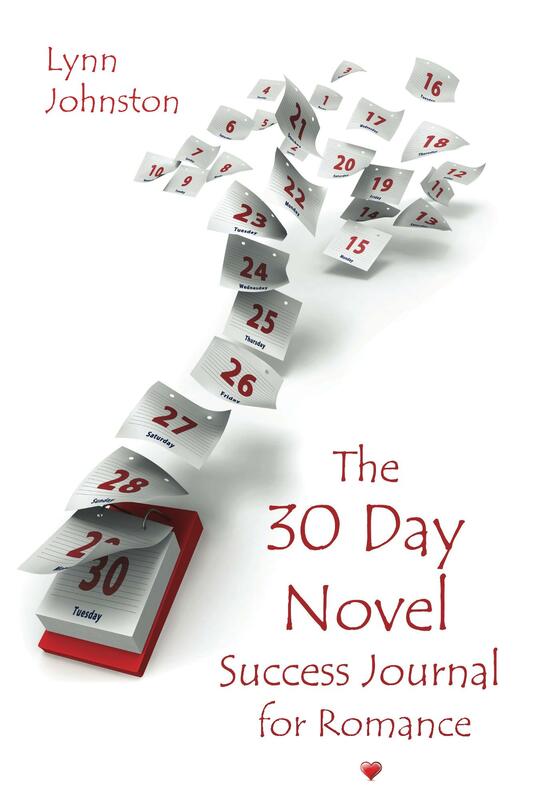 The 30 Day Novel Success Journal gives you the tools to overcome these obstacles and get your novel written. Lynn combines elements of three-act structure, the Hero’s Journey, and a romance arc that incorporates character growth to create an extremely flexible story blueprint that you can adapt to the story you want to tell. At each stage of the story, you’ll be prompted to dig into your characters’ relationship and show how it’s unfolding within the context of the story’s events. The blueprint is broken down into 30 steps, so you’ll know exactly where your characters should be in their journey each day. Each day’s step is paired with brainstorming questions to help you shape your story for maximum impact. Already have an outline? You can also use the blueprint as a guide to fine-tune your existing novel outline for stronger pacing. Each day’s journal entry includes a series of After You Write questions to help you identify and overcome distractions and self-sabotaging thoughts that can cause you to procrastinate. By the end of this 30-day program, you’ll know how to shift into a more positive, productive mindset. Includes brainstorming questions to help you build a powerful love story without sacrificing the external story arc. This novel writing workbook is an essential resource for participants of National Novel Writing Month (NaNoWriMo) or Book in a Month, authors with deadlines, and anyone who wants to write stories fast. This is the dark moment, where the protagonist and/or contagonist momentarily loses faith in him/herself and his/her mission. They may or may not offer each other comfort and/or advice, depending on the state of their relationship here. They may argue from their doubts. One or both of them may temporarily give up on their story goal. These doubts maybe bleed into the relationship and intensify the romantic conflict, or they may bring the protagonist and contagonist closer together (but at the same time, make the future they were hoping for seem impossible). The protagonist and contagonist may part ways. Even if they stay together, they must grapple with their new doubts about their relationship. If the antagonist is present, s/he may help or hinder either of the other two characters, and may do things to drive a wedge between them. Whether the antagonist is present or not, s/he takes a step to solve his/her own story problem, which may affect the protagonist/contagonist now or in the future. What is the trigger for the protagonist and/or the contagonist losing faith? What comfort or advice do they give/receive, if any? Do they stay together, or do they separate? What new doubts about their relationship are raised as a result of this loss of faith? Is the antagonist present? What is s/he doing right now? Lynn Johnston writes speculative fiction and coaches writers on how to increase the emotional impact of their stories. She blogs about the craft of writing at www.writesmarternotharder.com. Her books for writers include The 30 Day Novel Success Journal, The 30 Day Novel Success Journal for Romance, and The Writer’s Guide to Getting Organized. READ / LIKE / SHARE / REVIEW / THANKS! Winner to be announced October 20th, just in time to use the Romance Blueprint to prep for NaNoWriMo 2014. ← Contest Winners announced on Facebook Event tonight – The Dragon Love Blog Hop – Are You A Dragonista? Congrats on releasing your book. I can’t wait to read it. I’m going to do Nano this year. Here’s my url http://nanowrimo.org/participants/bonnie-g I’m under Bonnie G.
I’m going to check out your book before plunging in. You’re an awesome teacher & I can’t wait. Best wishes with NaNo this year, Bonnie! I hope you find the workbook helpful (and if you come up with any questions, you know where to find me)! So excited about this book and your other workbook. Can’t wait to use them with NaNo! I’m hoping to finish the non-fiction I’m working on before November so I can work on a totally new novel in a completely different genre for NaNo. Might be too lofty of a goal, but a girl can dream! Thanks for having me here today, Paula! FYI, gentle readers, Paula field-tested the story blueprint in this workbook. Her insightful feedback was crucial to making the brainstorming prompts and questions effective and easy-to-use. Wonderful questions and answers. Thank you. Glad you enjoyed the post. Are you prepping for NaNo this year? NaNo this year? No. I’m still having a hard time sitting after my back surgery and sitting in bed with a laptop is difficult. Good time for reading though. Good luck with your NaNo. Love the new look to the site. I posted this on my page too. Elizabeth, I’m so sorry to hear you had back surgery, and hope that your recovery is going well. Great idea to use the time away from the keyboard enjoying some great books! I’m thrilled you took time to answer The Author’s Journal interview questions. Writing with you over these past few years has felt terrific. I know the writers who are prepping for #NaNoWriMo 2014 will benefit tremendously from your work. Thanks so much for stopping by and sharing yourself with my readers.